Bob Tucker grew up in Phoenix and graduated from Phoenix Union High School. He spent some time homesteading and farming a section of land by Tonopah west of Phoenix. Bob served in the air force. After the service he graduated from ASU with a degree in agronomy. In 1954, Bob found his niche selling tires and repairing cars. He financed his education by owning and operating several Blakely Oil service stations. Blakely was a locally owned oil company that sold out to Gulf Oil in the early sixties. 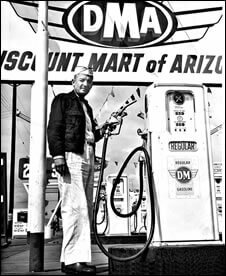 Bob never left that business and it is still operating today as Tucker Tire & Auto at 1101 E. Camelback Rd. Owned and operated by his step son and daughter in- law, Charlie and Pam. 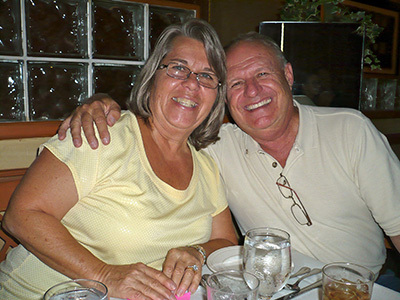 Charlie and Pam Stevenson have kept Tucker Tire and Auto a staple in our community since taking the ownership role in 1984. Today you can still walk in and ask to say Hi to Charlie and he will be there to greet you with a smile. Pam is also keeping everything going behind the scenes with her expertise and talents in bookkeeping. Both Charlie and Pam are the heart and soul of this neighborhood icon business that is still family owned and operated. Charlie and Pam can be found giving back along to those in our community. Being involved with a number of organizations such as Phoenix West Rotary, Boy Scouts, Veterans and Children's Charities. Proud parents of two daughters, Christy and Cheri and two grandsons Christian and Colton, this family enjoys their fun time away from the shop on weekends at lake Powell, boating, fishing and hiking. Tucker Tire and Auto will continue to be the expert tire and auto shop in Phoenix for years to come with the community and family feel you get from the moment you walk in the door.